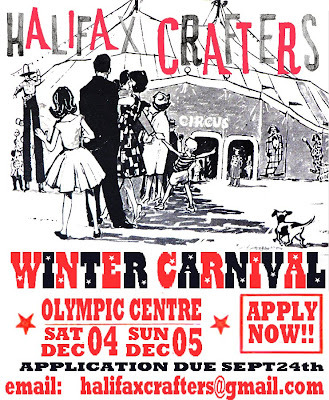 halifax crafters: Winter Carnival! Applications due Sept. 24! Winter Carnival! Applications due Sept. 24! We are now accepting applications for our Winter show. The show will be held Dec. 4 & 5 at the Olympic Centre. You can email halifaxcrafters [@] gmail.com for an application or for more information.